Nettle Leaf has a long history of use for modulating the body's inflammatory pathways and supporting upper respiratory health. 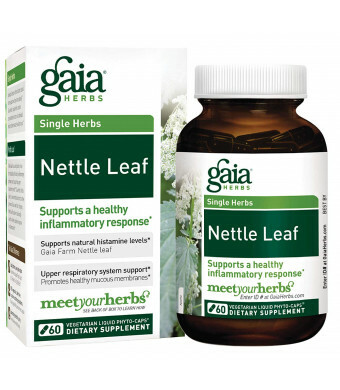 Gaia Herbs' Nettle Leaf is a concentrated extract of nettles grown on Gaia's own certified organic farm. Each serving provides a guaranteed 2 mg of active caffeic acid, helping the body initiate a positive response to inflammation. 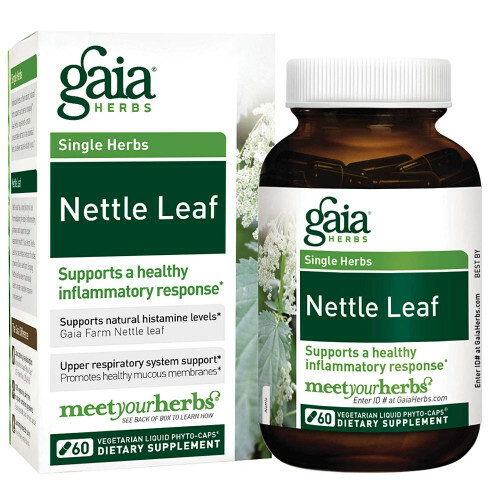 Single Herbs Nettle Leaf is a caffeine-free compound. Nettle is a leafy plant that is found in most temperate regions of the world. The Latin root of Urtica is uro, meaning I burn, indicative of the small stings caused by the little hairs on the leaves of this plant that burn when contact is made with the skin. The root and leaves of nettle are used in herbal medicine.